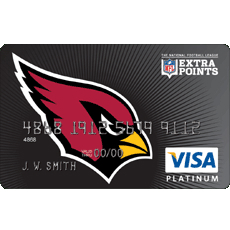 20% off every purchase on NFLShop.com, including apparel and game tickets. Also take advantage of the points-based rewards system, that allows you to collect points that can be redeemed for savings on merchandise and game tickets. Earn 10,000 bonus points after $500 in purchases in the first 90 days after opening account. The 10,000 points can be exchanged for $100 cash back statement credit. Also enjoy 0% APR for the first 6 months of purchases of game tickets. 14.99%,19.99% or 24.99%, based on your creditworthiness. For email inquiries see this form.